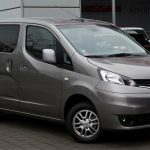 Not long enough to sleep in comfortably: this will include the VW Caddy, Berlingo, Fiat Doblo, Renault Kangoo, etc… these are great vans, but not what I’m looking for. They are almost a bit too car like and not ‘van like’ enough if that makes sense; and some are not very different from a people carrier or an estate car. Not high enough to be comfortable. Even though you can’t stand up in the NV200 without using a pop up roof, it still allows you to get under certain barriers with its height of 1.86cm. On the other hand, you don’t need to crawl around inside like you would in an estate car or even some people carriers. So the NV200 it is. It is a real shame they don’t have a long wheelbase model, though. An additional benefit is that it looks too short to sleep in, although it isn’t. So when used as a stealth camper, it will raise less suspicion. Yes, but I found it very difficult to find decent business insurance for a campervan, and that’s something my organisation expects… and I want to keep it flexible in its use. An additional reason is that it apparently costs more in insurance and tax. A half way house could be a crew van, but looking at the seats, it take considerable effort and expense to keep the extra seats, get rid of the bulkhead and still have a campervan. The combi allows a lot more flexibility. I did a lot of research myself but I also found Dinkum’s blog and Ryan & Mels excellent site very useful in helping me make up my mind. 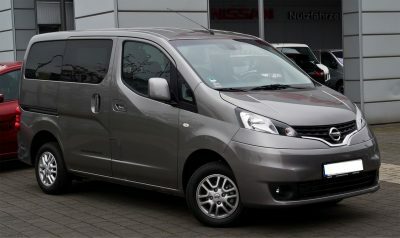 2 Responses to Why a Nissan NV200? Super Blog ! Well thought through information. NV200 is my favourite choice. keep up the good work ! Thank you Dinkum. I need to add a lot more… in due time. I’ve been reading your blog for a long time. There are some great ideas and information on there. I can’t wait to start my conversion!